I started Disguiser 伪装者 after experiencing bouts of withdrawals from Nirvana in Fire and the feels from seeing the cast again is pretty awesome. That said, comparisons between the two are practically a given but in a good way. Episode 1 begins with a sharp-suited Wang Man Cun (Wang Ou) who is alluring yet ruthless as she leads the torture and decimation of an entire unit that harbored spies against the Japanese regime. A cryptic telegraph flashes onscreen about a faulty machine and the urgent need to send in new mechanics to repair. 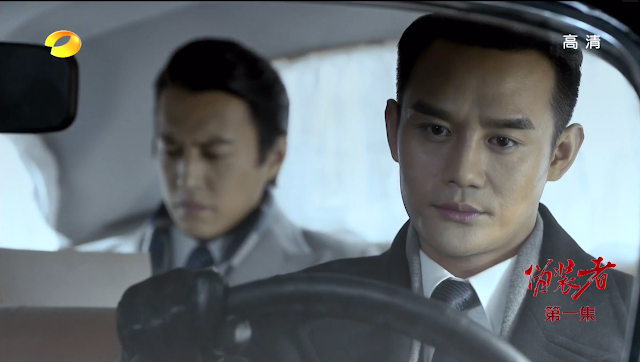 Back in Hong Kong, Kuomintang operatives assassinate a Japanese official while the happy-go-lucky university student Ming Tai (Hu Ge) inadvertently saves a high-ranking Kuomintang agent from his own assassination. Spy thrillers thrive on suspense so with as little information as possible, I end my episode 1 introduction. First Impressions: I was half asleep when I started watching but Wang Man Cun (Wang Ou) shooting people in cold blood like it's nothing was an instant awakener. The Republican era is a time of change and warfare not only troubled by clashes in internal politics but also fraught with the terrors of foreign invasion. It is a dangerous time indeed and often portrayed on TV through graphic torture scenes. I worry for the protagonists because of the pivotal roles that they will come to play, yet it's only the beginning, a very promising one at that. 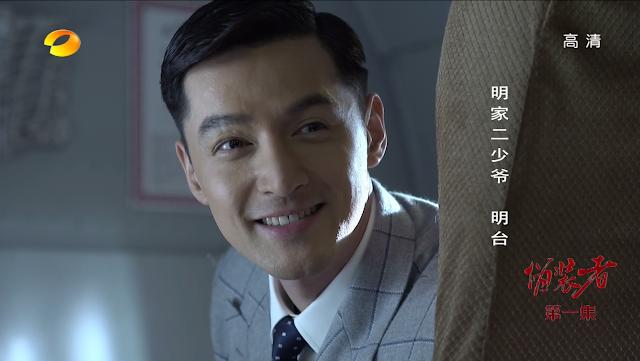 On a lighter note, it's as if Hu Ge has gone a complete transformation from the sickly Mei Changsu to become the chipper and dapper Ming Tai, though retaining the former's unrivaled intelligence. 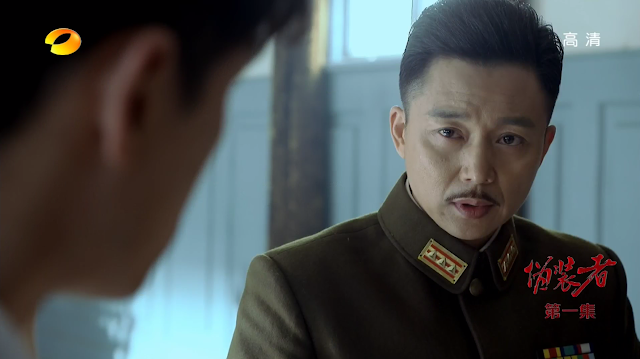 I must admit, Mei Changsu was such an extraordinary character but I like the non doom-and-gloom version of Ming Tai. There is also a slight shift in bromance now that Hu Ge and Jin Dong play real brothers whereas Wang Kai gets downgraded from royalty to household servant. Not complaining though because he seems to treated more like family than anything else. The more I watch the more I go, "He's here too?" For synopsis, cast and ratings, see 2015 c-drama listing. Great Historical Drama after The UNRIVALED AND PERFECT --NIRVANA IN FIRE!! I still haven't finished this one but definitely glad to see the cast reunited. It's like NIF never ended. Going from NIF to disguiser, I was fascinated by how completely Hu Ge could transform from the staid Mei Changsu to pampered brat Ming Tai. That was some solid acting. However, I think the bromance blogged to Wang Kai and Jin Dong here. They were more on equal footing whereas ming Tai was the baby they had to care for and protect. I liked the scenes with all three of them best, but the older-brothers bromance was the heart of it. ahh i'm ashamed to admit that I still haven't finished Disguiser and my lame excuse is because it's so good that I know I have to give it my full attention, which is why I keep putting it off..